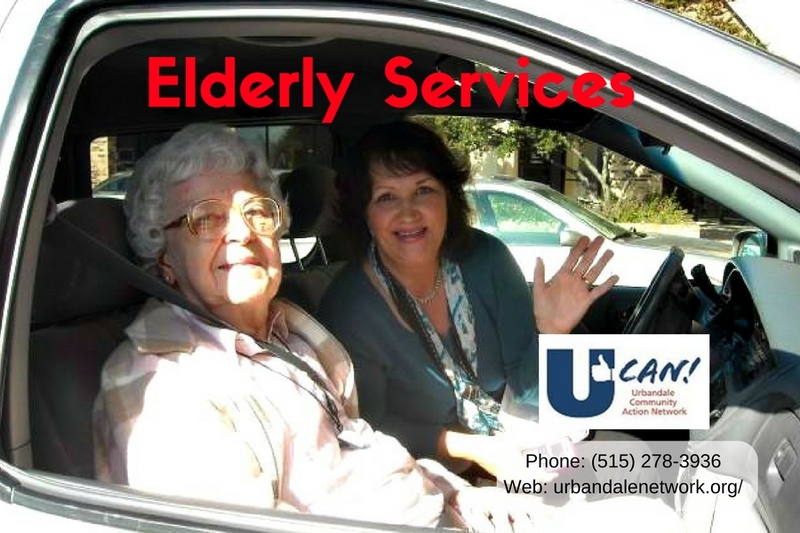 UCAN provides a number of services to elderly Urbandale residents. Transportation – Our volunteers drive clients to and from appointments such as doctor and dentist appointments, hair appointments, etc. Grocery Shopping – Although most clients prefer to go with the volunteer to shop, others prefer to have it done for them. Yard Work – Volunteers assist clients during our one-day spring and fall clean-up events. This may include mowing, trimming and/or raking. Q. How do I sign up to receive services? A. Simply click on this link: UCAN Client Application to download and print off the application at home, or call us at 515.278.3999 to request that an application be mailed to you. Once you have completed and returned the application, a UCAN Caring Corps representative will meet with you personally to determine how we can best serve you. That is all there is to it! Q. What is the procedure when I need services? How long you expect your appointment to be – Please insure that no service takes longer than 2 hours. The office volunteer will make the arrangements and call you back to confirm your appointment and give you any other the information. The driver will call you to introduce him/herself and confirm the appointment. S/he will also likely call you the night before to reconfirm that the appointment is still on. Q. Is there any cost for your service? A. There is no cost for our services. 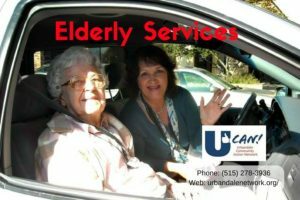 UCAN’s Caring Corps Committee provides all services through the generosity of volunteers, community sponsors and donors. Tax-deductible donations are appreciated and may be mailed to PO Box 7615, Urbandale, IA 50323 – Please designate UCAN Caring Corps in the memo section of your check. Q. I would like to volunteer. How do I sign up? A. Volunteers are needed for transportation, minor home repair, yard work, and a few other miscellaneous tasks. Fill out the Volunteer application, bring it to the UCAN Caring Corps office, 4103 72nd St (Lions Park Shelter), along with a copy of your driver’s license and insurance card.